What is ‘CARP Thursday’? It is a series of character education sessions offered every Thursday. It was initiated as a meeting day for all CARP members to come together, get to know each other better and learn about character development. The curriculum will cover topics such as pure love, honesty, family values, religious and cultural tolerance and leadership. There will be interactive activities and sharing sessions. One such activity is journal keeping where participants track their progress in character development since having taken these classes. 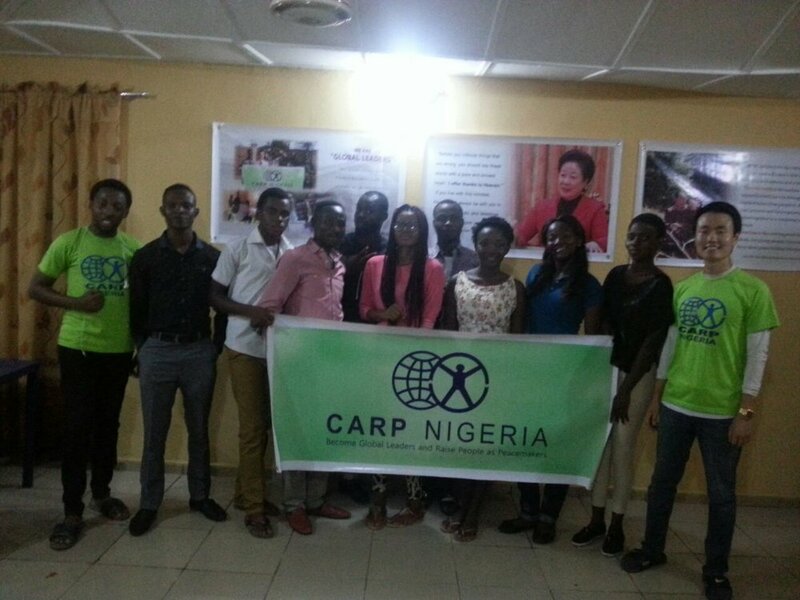 For this very first ‘CARP Thursday’, we felt it would be good to begin by creating friendly bonds among our members through some fun activity. The meeting began with each member introducing themselves and then the Education Director, Mr. Bok Jin Lee, gave a brief update on our plans for future activities. Then the fun part began with a food game called “The Best Sandwich” where the participants were divided into 3 groups and each group was provided with ingredients to make tuna sandwiches. They were given just 15 minutes to prepare sandwiches for all the members in their group! 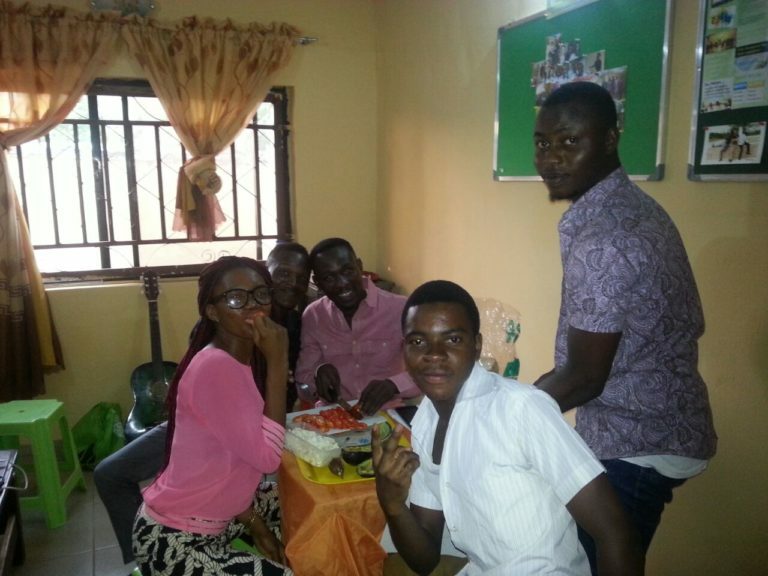 While the groups were busy making sandwiches, a surprise birthday cake was brought in to celebrate the birthdays of 3 of our members; Samuel, Veronica and Grace. We all sang the birthday song for them in English, Korean, Yoruba (a native Nigerian language) and French! The room was filled with a lot of excitement and happiness. After the food preparation, we all tasted each other’s sandwiches and shared cake and fruit juice. The meeting ended with everybody taking lots of pictures and a final group photo. I felt that this program really helped to create bonds between the members. It was educative in that participants got to know more about how CARP aims to build a culture of heart and its vision of extending that culture to the entire nation. The members were thrilled and felt a lot of love from CARP. Everyone is looking forward to the next ‘CARP Thursday’ meeting.